Shivneri bus booking procedure step by step, before starting we shall learn and understand the features and important points of shivneri bus. Shivneri bus is the luxury public transport bus from MSRTC (Maharashtra State Transport Corporation). Shivneri is very popular among the passengers because of its high class traveling experience. Passengers who required high class traveling with economical fare ticket then they can think of shivneri bus. A good looking public transport bus is very clean, superior air conditioning system. shivneri bus booking is very simple and easy, we shall discuss this later. MSRTC buses are well known for its timely services with safety in manner, MSRTC is the largest public transport corporation in india. Since the inception from 1960 MSRTC giving service to public day and night even while in festivals,holiday etc. That’s why it became a equation that MSRTC means “trust”. shivneri is the part of MSRTC you can call it a top version or series of bus, Many passengers pampered of top class traveling experience & they were choosing private traveling buses for journey, but now no more. Shivneri is the best choice when you compare with private buses. Shivneri bus is the luxury bus so its ticket is a bit higher than shivshahi bus, hirkani bus, parivahan bus,etc. Shivneri bus provides many amenities in economical fare ticket. 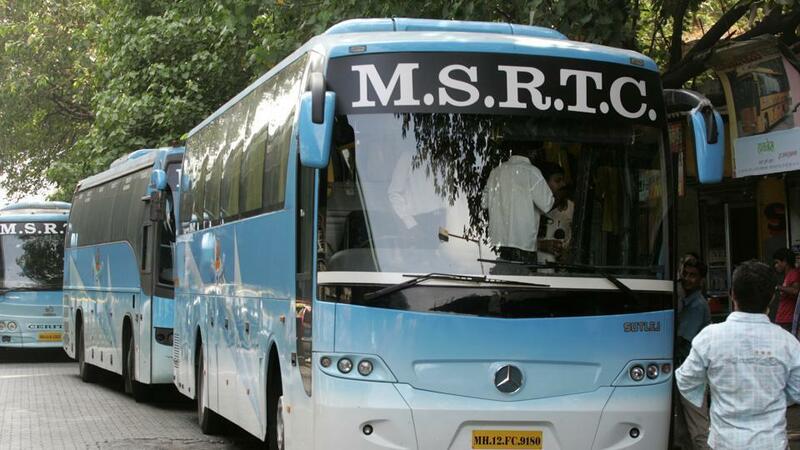 The most important in journey is the bus service on which passengers can reliable on, MSRTC shivneri is the name on which passengers can trust because if unfortunately if something wrong with bus on the way then MSRTC will send another bus on point or will adjust passengers in another MSRTC buses upto next point. All this is possible because MSRTC has strong bus network and offices in each and every taluka , district. Online shivneri bus booking service gives freedom to passengers to book the bus ticket from any point even while in the night. MSRTC shivneri ranks first in all type of traveling experience, shivneri has good quality comfortable seats, air conditioned bus, entertainment system, clean buses, fire extinguisher for safety purpose, first aid kit, etc. Passengers deserve all these amenities while they traveling with shivneri bus. i) First of all you need to create the MSRTC account, same account can use in future. Please remember the username and password. Log in to the MSRTC shivneri bus booking system. Enter the starting point of journey and destination. For example Pune to Nashik.